Today, Russia’s biennial international aviation show MAKS begins in the southeastern city of Zhukovsky. The event will be attended by 770 companies from 30 countries. The show is a chance for Russia to demonstrate its military prowess and international business opportunities in the face of Western sanctions. MAKS will feature 84 aircraft, including Russia’s prototype MC-21 passenger plane and the new T-50 stealth fighter. 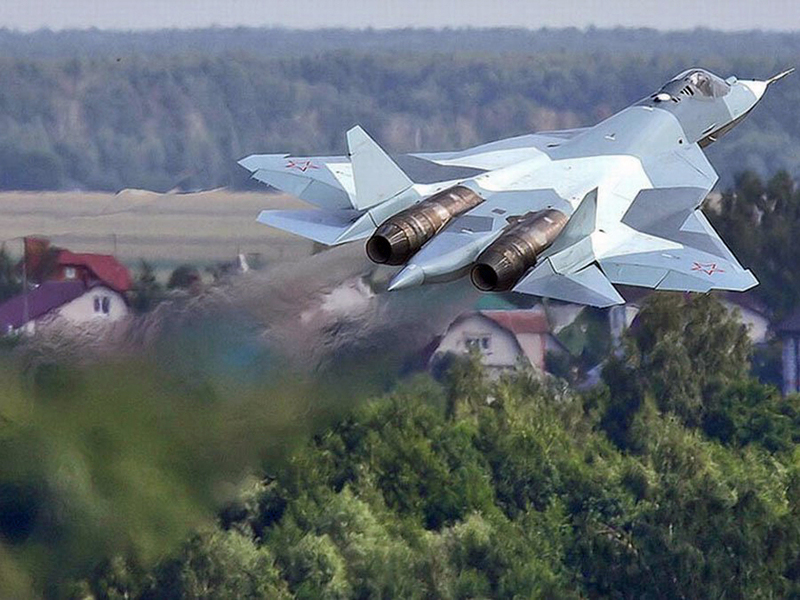 The T-50 made news last year when an earlier version made a highly symbolic overflight of Crimea. The 5th generation stealth fighter has been beset by crippling technical problems, and industrial production has been delayed until 2018. However, the craft boasts an impressive array of advanced technology, and its three-dimensional jets make it more manoeuvrable than the equivalent American F-22 Raptor, which uses only two directional jets. The Raptor still has the edge over the T-50 when it comes to its stealth system, with a radar profile 1000 times smaller. The production of the T-50 signals that Russia intends to stay on the frontier of military innovation, despite the many problems ailing the country.